Are owls still popular? 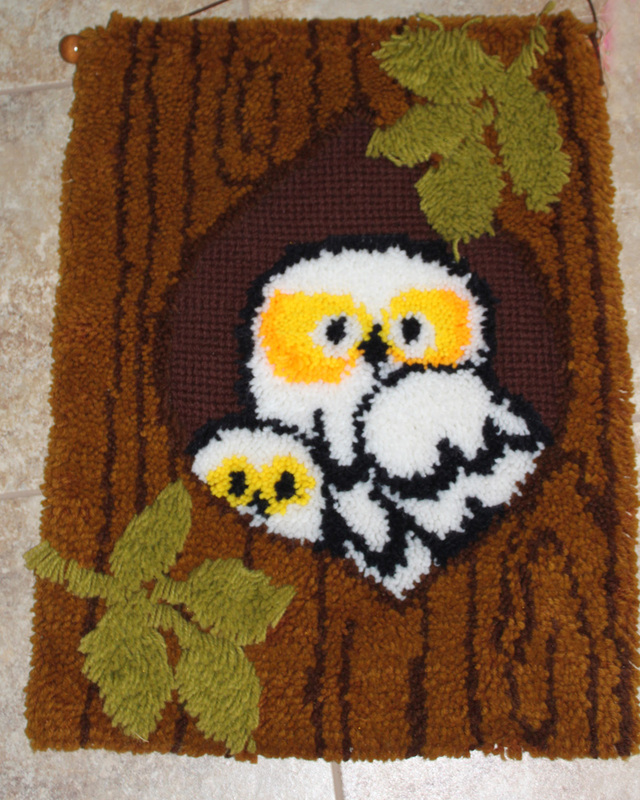 This owl latch hook wall hanging is so 70s. It is in excellent condition. I can see it on paneled walls in a basement. 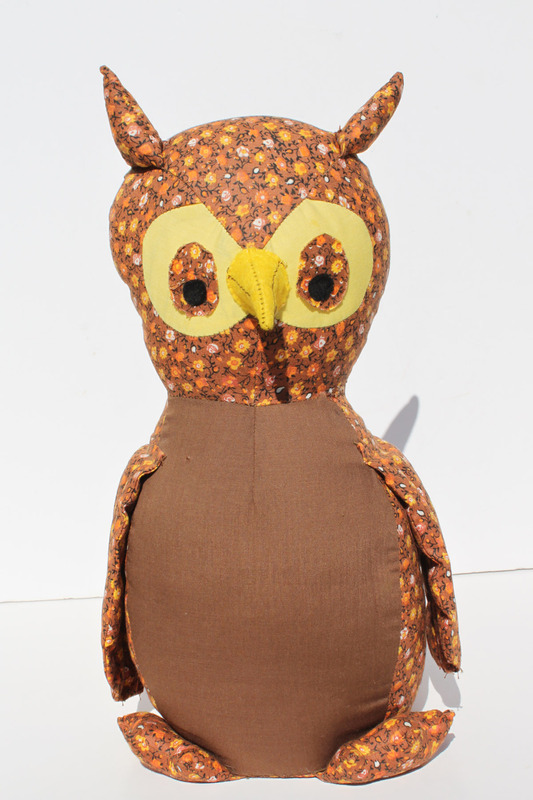 Normally I don’t pick up stuffed items, but this handmade owl is adorable. Vintage 80s. 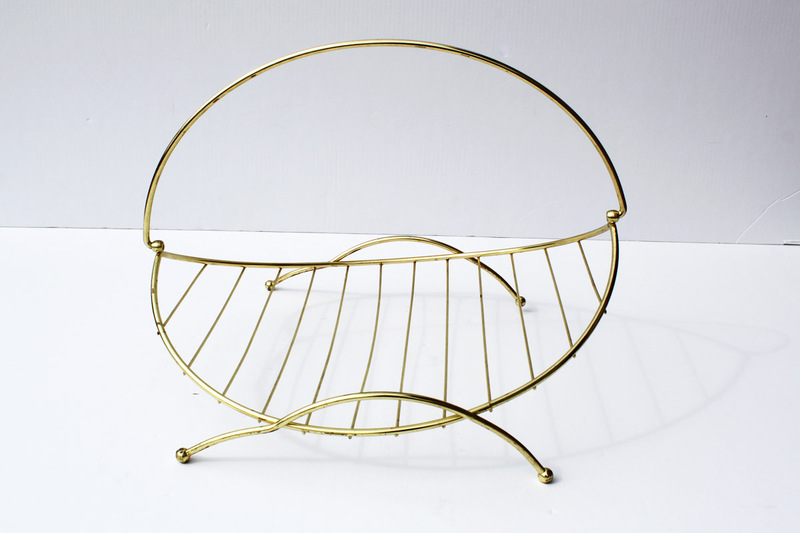 Found another gold magazine rack. This one is flat. At first I thought it was a fireplace log holder, but it is too small to hold more than 2 logs. The magazine racks I have listed aren’t selling as fast as some have. I think the Mod looking ones sell faster than the regular gold ones. 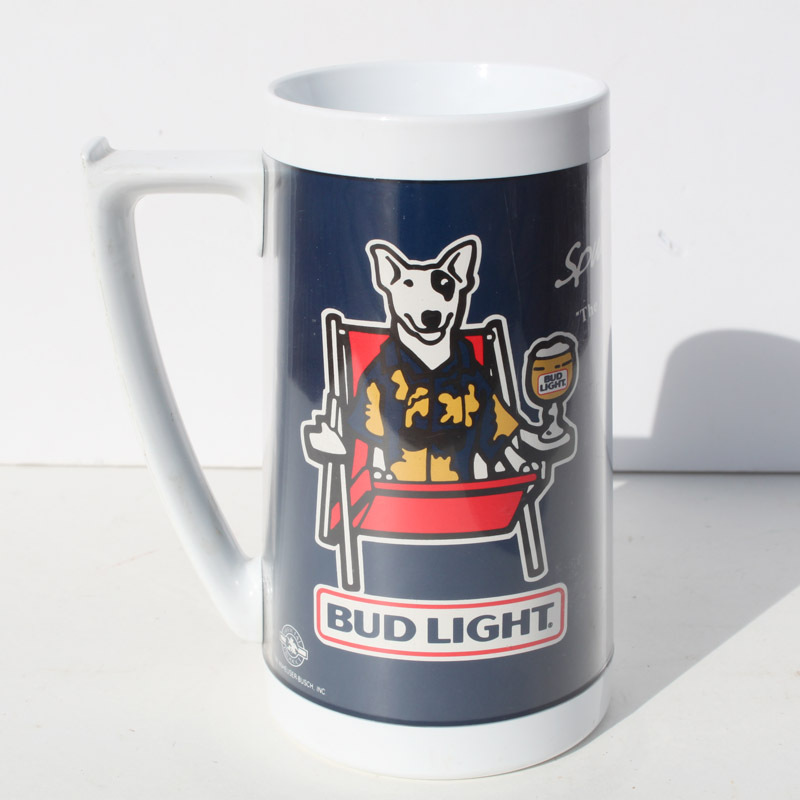 This Spuds Mackenzie beer mug is from the 80s when Spuds was popular in the Bud Light commercials. Remember him partying with bikini clad girls? 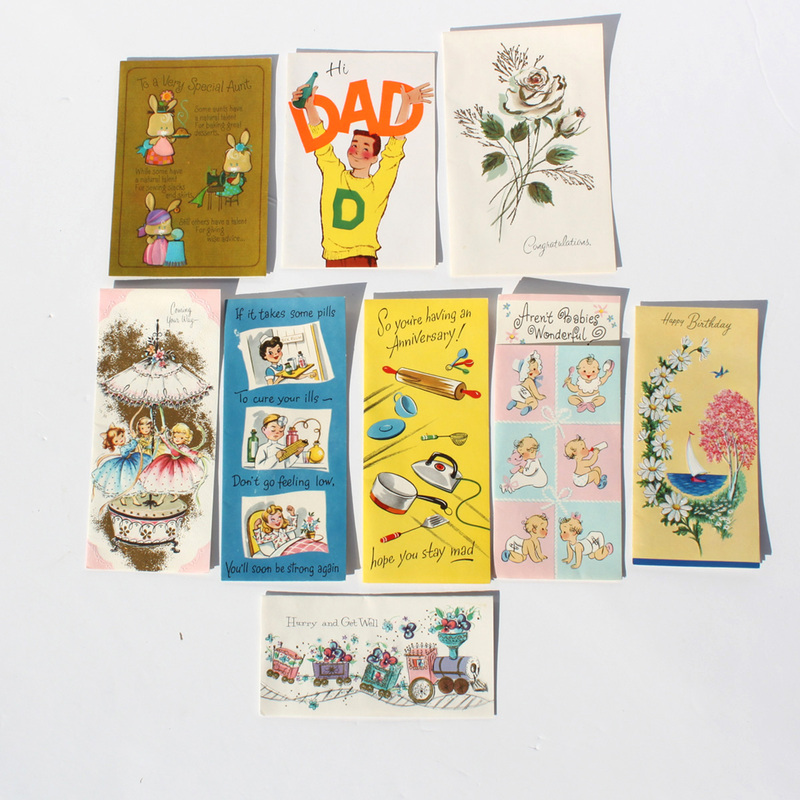 I hope to get a group of 9 vintage greeting cards listed soon. I love the graphics. It reminds me of when my sister and I used to play with my Mom and Dad’s wedding cards. We played store and favorites. They gave us hours of imaginative fun. 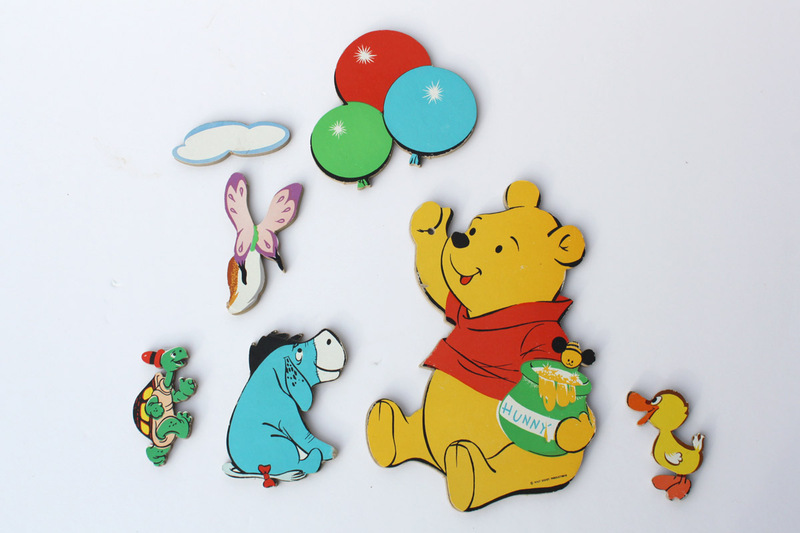 I sold a Mary Had a Little Lamb Hardboard Wall Hanging a while back, so I decided to list Winnie the Pooh. And Mickey Mouse too. I think either would be adorable in a nursery or a child’s playroom. 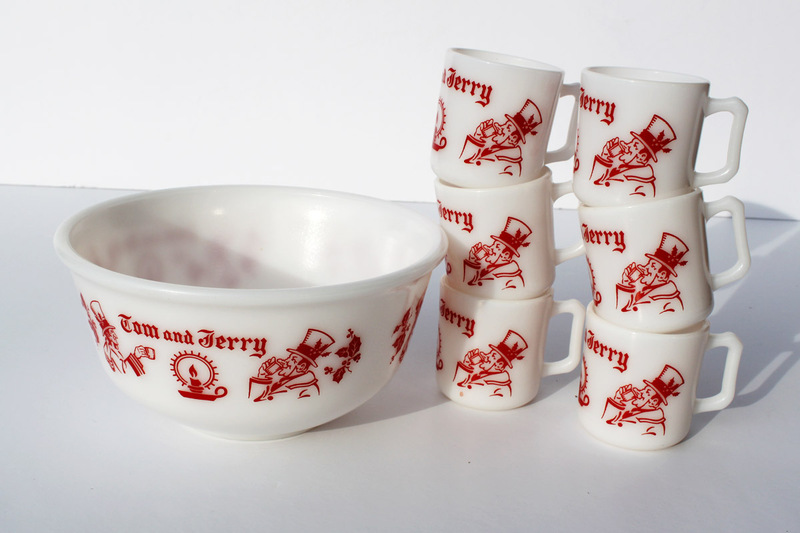 What about a few holiday items…this Tom and Jerry bowl and cup set is so awesome. I sold a similar cups last year. 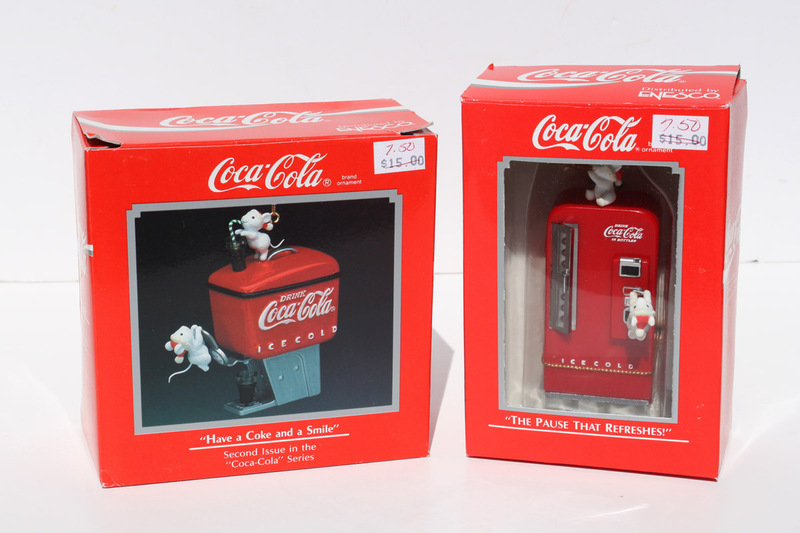 These vintage Coca Cola ornaments are so cute. Not sure how popular Coke products around the holidays are, but I am a Coke fan…not that I have had a Coke in over two or so months now. 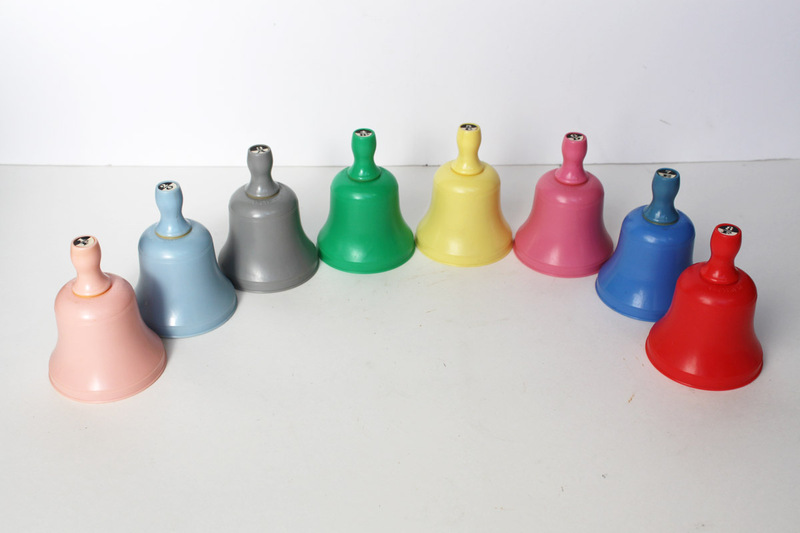 Finally I think these toy musical scale bells are fabulous. The colors are wonderful and the musical scale sounds are great. Think these would be fun to have around for children during Christmas season. I am sort of getting into the Christmas spirit. Ok, yes, Thanksgiving is still almost 4 weeks away, but last night Big M and I went to Mass and then out for dinner. The boys stayed home to hand out candy. We then stopped at Menards for items for a house project. All of their trees are displayed. Our artificial tree is from 1990. We bought it for $79 from Kmart when we were first married. Its pines leaves are really falling out, so we need a new one. However, we want one that has colored lights on them; no more tangled lights. Most of the trees have white lights. Finally this year we are seeing colored lights on a few trees. We spent about 45 minutes looking at trees, and still couldn’t decide on one. I hope to do more tree shopping in the next few weeks, so we have one for Thanksgiving weekend when we put it up. No, I am not wanting Christmas to be here, just starting to thing about a tree and Christmas shopping. I have purchased a couple of things on Etsy already for gifts. Have you started making your Christmas gift and to-do lists? 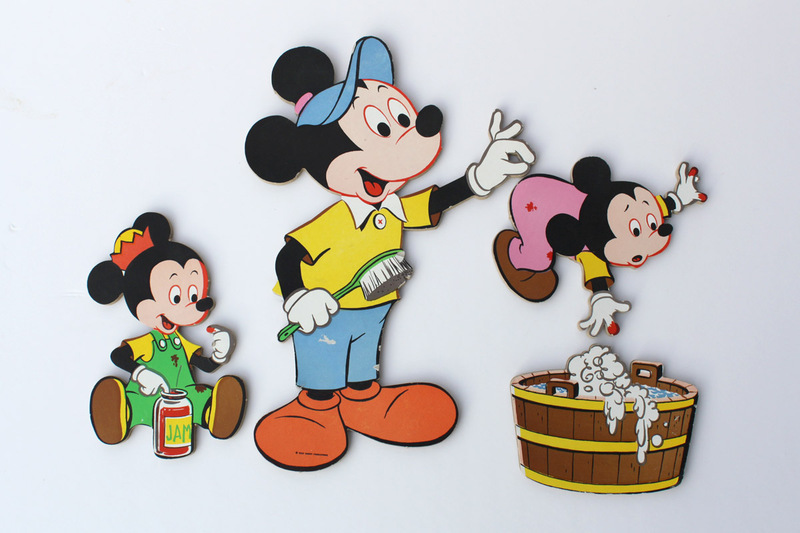 This entry was posted in Childhood Memories, Junkin' Pickin' Finds and tagged bells, Christmas, magazine rack, mickey mouse, owl, tom and jerry, winnie the pooh by Karen Grosz. Bookmark the permalink.